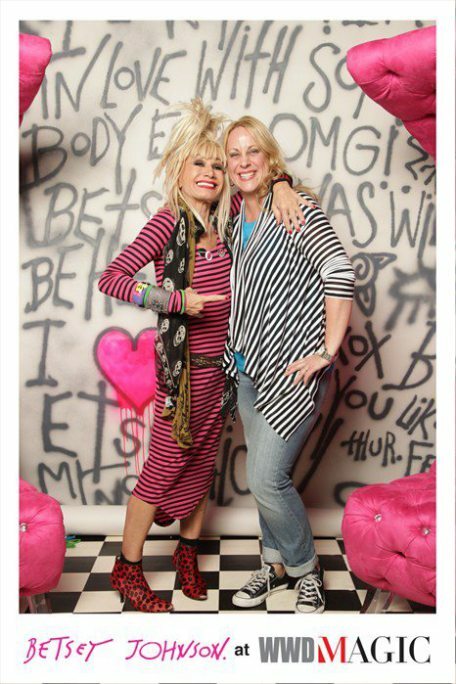 As she prepares for the upcoming New York Fashion Week, Dr. Johnson decided to make invitations out of pill bottles. (No letter press or gold-foiled cards for this lady.) She took medicine bottles and filled them with mini-breath mints then added the information about the event on the outside label. Brilliant! I don’t think anything you do could ever be simple or boring. Please step out onto your New York balcony, take a deep breath and remind yourself who you are! You’re a world-wide cultural icon and fashion leader. Fun is your middle name and creativity runs through your veins. I love your prescription bottles, they’re great! 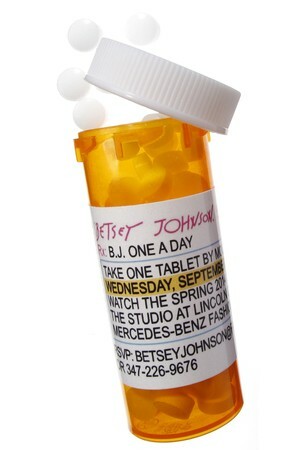 I think everyone should have some Betsey pills, then maybe this world would be a better place. Have an awesome, cart-wheel-filled show! PS Take two and call me in the morning!